As my colleague and friend Kellee mentioned of the film director, screenwriter, producer, and business magnate, Steven Spielberg, “…has become an American institution via the silver screen.” Pretty good considering he could not get into the same film school at the University of Southern California School of Theater, Film and Television his buddy George Lucas did. Maybe it’s best he didn’t. For his career path may have been altered, and his myriad of fans may not have experienced the films that have enriched and enthralled us for all these many years. Case in point, his professional TV directing début. Night Gallery was the idea of famed Twilight Zone creator, Rod Serling, as a follow-up to that landmark television series. More of his uniquely thought-provoking tales. Albeit, one focused more on horror and the supernatural than its predecessor. Here’s where failing to get in to USC paid off. His gig at, “Universal Studios as an unpaid, seven-day-a-week intern and guest of the editing department (uncredited)”1 afforded him exposure at the same studio launching Serling’s next TV program. Spielberg was hired to direct one of the stories for its 1969 pilot movie. The 30-minute ‘B’ segment, Eyes. This shouldn’t be minimized as its success, Night Gallery was picked up for the 1970 season, directly led to more directing offers for the budding talent (some of which other bloggers will highlight during this blogathon). What a crossroad opportunity this turned out to be for the young Steven Spielberg. The budding director paired up initially with TV and film legends Rod Serling and Joan Crawford for the premiere. The latter most especially. Originally offered to Bette Davis, the role of Menlo fell to Joan Crawford when Davis passed. Night Gallery producer William Sackheim paid her $50,000 for a scheduled seven days work. Spielberg, per the terms of his studio contract pocketed about $275 dollars for the same period. 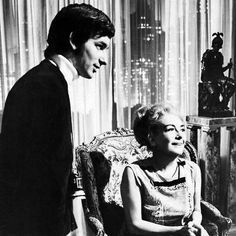 No matter her initial dubious reaction to the fledgling director, Joan Crawford and Steven Spielberg became friends, which lasted till her death in 1977. Crawford simply superb as the tale’s rich femme, the blind, Machiavellian multimillionaire in New York, Claudia Menlo, who will stop at nothing to secure her wants and desires. Anyone she comes into contact becomes acutely aware of this fact. Her wealth and demeanor mere byproducts of this. Scruples be damned, as the eye surgeon (the always solid Barry Sullivan) to his blind patient learns. Menlo’s blackmail guarantees his cooperation for what she desires — the chance of sight. Even if it lasts but a few hours, Menlo won’t be denied. She’ll literally buy a man’s eyes for the transplant. Any device necessary to achieve whatever the goal, her calling card. Still, this being the Night Gallery, it all turns out differently from what she calculated, or bargained for. It should be noted Spielberg recouped from veteran character actor Tom Bosley the other stellar performance of the segment as the poor schlep life has screwed over. Menlo’s lawyer paying out the mere nine thousand dollars to get the bookie’s hooks out of his miserable flesh for the time being. With an $500 extra and permanent blindness, for his troubles. Surprisingly cheap for the fleeting hours this will deliver Claudia. As one of the small installments in the pilot, it’s the standout. Even if it occurred during, “That unapologetic and profitable embrace of the small screen carried over into MCA owned Universal’s production ethos. By the mid-sixties MCA-TV Ltd., the small screen arm of Wasserman’s Universal was responsible for 5,840 hours of television programming a year and growing.”2 Most, if not all, of Universal’s television shows shared the same dull look in their production values and camera work of the time. Except here, and all because of who was directing. At least with Steven Spielberg at the helm, the half-hour segment made use of the distinct camera movement and angles his fans have come to know by now. But here, like his career, they were just beginning to blossom. Somewhat reminiscent of Alfred Hitchcock, who even when he worked on the Universal lot, avoided the far from cherished flat features this studio’s era offered viewers. Some of his trademark touches can be glimpsed. Compare “Eyes” with other the two sections, “The Cemetery”, and “Escape Route” to see how Spielberg’s episode outshone its bookend tales of comeuppance. To be honest, though, was this pilot one of the great productions in television history? I’d have to say no, it’s not. However, memorable moments are in the eye of the beholder — yeah, I’m pushing it with my phrasing. So? It was still vintage Rod Serling wordsmithing. Demanding us to face an ethical question, and living or dying with its consequences in satirical fashion. It was the writer’s métier. 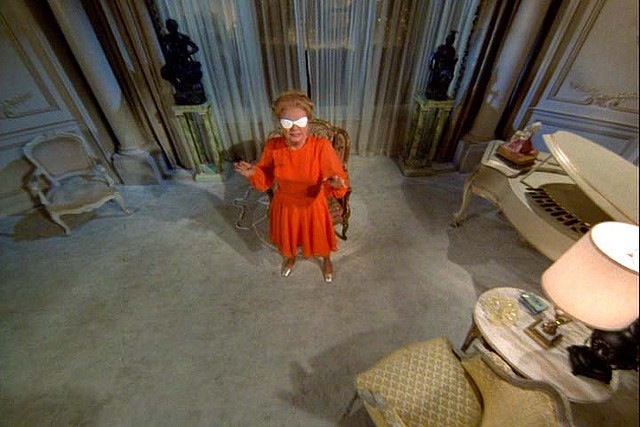 Nevertheless, putting one of the tales of the prospective series’ pilot into a young talented director’s hands proved to be the crucial stepping-stone for Night Gallery, I think. The end result, it was picked up by the network and lasted three seasons on-air. Moreover, it proved to be the single best springboard Steven Spielberg could ever have hoped for. Watch the Night Gallery pilot promo. Excellent catch and execution of an exceptional episode of Mr. Serling’s ‘Night Gallery’! One I has seen ages ago while the series ran. And was a bit taken with. Spielberg really started testing the waters and the strength of his wings with his early work for ABC (Duel!) and NBC (Night Gallery). And it was very gracious of Ms. Crawford to not exactly chew scenery. But allow others to glimpse and perhaps stare at the workings of the mind of a vain and powerful woman. Comfortable with, and eventually overcoming a handicap. However briefly. Not exactly a “You’ve Gotta Start Somewhere’ sort of project. Yet showing polish, style, and not exactly a free, but loose rein in the director’s hands. Wow, I didn’t know Spielberg couldn’t get into USC School of Theater, Film and Television but clearly he didn’t really need to anyway. How awesome that you highlighted his TV debut as most people [like myself] probably never heard/seen this before. 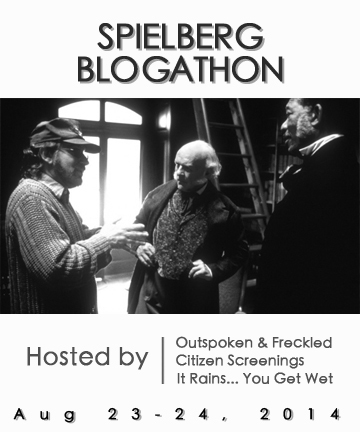 Great job on co-hosting the blogathon Michael! I thought it most interesting to uncover that fact. But it clearly showed a talent who couldn’t be held back. Great piece on this Night Gallery episode, which I was unfamiliar. 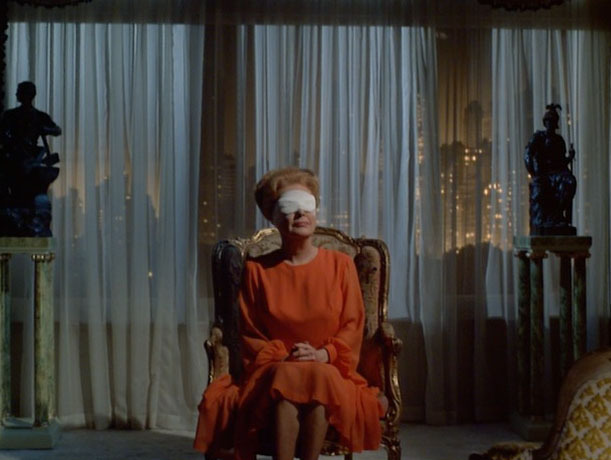 I do recall Night Gallery overall and how it had such a fabulous vibe, just like its Twilight Zone predecessor. I can only imagine the great camera angles for this early Spielberg direction. And Joan Crawford, too?! She must have been delighted to take a part originally intended for her rival post mortem. (That sounds catty but I’ve heard too many stories about Davis & Crawford to think otherwise.) Wonderful write-up! Well written, my fellow co-host with the most! Terrific article. I haven’t had the pleasure of seeing this unfortunately but it’s something I’m intrigued to discover. Spielberg proved that he didn’t need massive budgets to wow his audiences and could even do it within the television medium (the popular example being Duel). I’m just glad Duel was released in the UK at the cinema! Memorable: definetely the best word to describe Spielberg’s debut. Because if you start your professional career directing an Oscar-winning actress in a TV pilot, you must be someone special.